German Catholic Orientalist; born in Höchstädt, near Bamberg, in Jan., 1800; date of death uncertain. 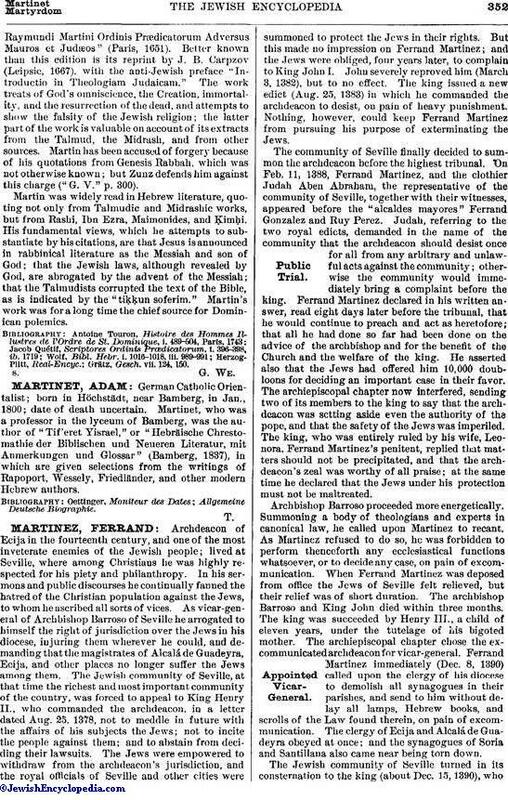 Martinet, who was a professor in the lyceum of Bamberg, was the author of "Tif'eret Yisrael," or "Hebräische Chrestomathie der Biblischen und Neueren Literatur, mit Anmerkungen und Glossar" (Bamberg, 1837), in which are given selections from the writings of Rapoport, Wessely, Friedländer, and other modern Hebrew authors. Oettinger, Moniteur des Dates; Allgemeine Deutsche Biographie.